MY KIDS TOTALLY GET ALONG. 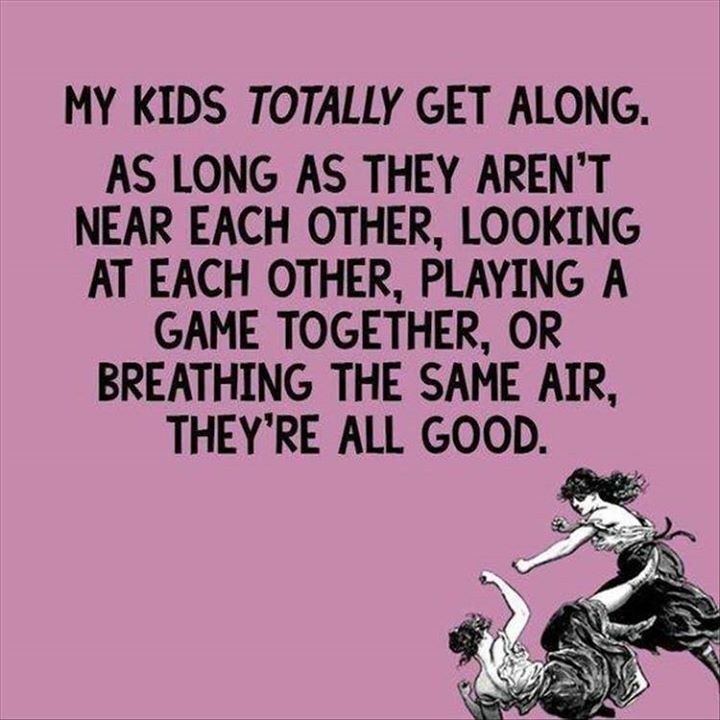 AS LONG AS THEY ARENT EACH OTHER - ProudMummy.com the Web's Community for Mums. MY KIDS TOTALLY GET ALONG. AS LONG AS THEY AREN'T EACH OTHER, PLAYING A GAME TOGETHER, OR BREATHING THE SAME IR, THEY'RE ALL GOOD. They got better as they got older I Must say!! This is my lot today. My two get on fine now - one lives in England and the other in Scotland!! Mariah Wade & Marc Wade this is you two!